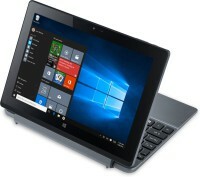 I have bought an Acer Tablet with keyboard and Windows 10 for Rs.16,000 (US $ 250), on the occasion of Diwali. What was the need ? I wanted a Windows 8 tablet. This thought was always inside me. Now with Windows 10 in the market I decided to make a move and buy this device. I want to use this device as a Web Services tab. I want to view my blogs as an app. Can I make a post and make comments in a post from an App? I need to check this out. Also I would want to store videos of Kishore Kumar interview, Mohammad Rafi interview, Pyarelal interview videos in this tablet. Also videos of important songs. I like this device very much. Windows 10 in a touch tablet is a dream. And this dream has been fulfilled.